American Soldiers: Here to Protect, or Violate? Photo courtesy of the Qarar Family. Editor’s note: Night raids have been a frequent practice among NATO and American forces in Afghanistan. The American administration is now calling for restrictions on this practice to prevent further unnecessary loss of life. The following article about one such night raid is based on interviews with Majeedullah Qarar and his family. An epilogue with the writer’s view on her role as a journalist follows. The woman’s husband, Hamdullah, was killed early in the morning of Nov. 19, 2009, when three helicopters brought a group of American soldiers with guns and barking dogs to a family compound in the ancient city of Shelgar, located in the Ghaznai province in the south of Afghanistan. The soldiers attacked the compound, looking for an accused Al-Qaeda member. The bloodcurdling sounds woke all the villagers, but no one left their houses for fear of being shot. The compound belonged to Majeedullah Qarar, spokesman and communication advisor for the Afghan Ministry of Agriculture, Irrigation and Livestock. Qarar was in Kabul at the time of the raid. In addition to killing Hamdullah, the soldiers killed another man, Azime, and ransacked the compound before arresting Habib-u-Rahman, Qarar’s cousin. That night, the soldiers, clothed in special pants and T-shirts, bearded, and wearing masks, climbed the wall of Qarar’s yard trying to enter the home. Hamdullah was sleeping in the guesthouse, along with four other men and boys. When Hamdullah realized someone was trying to enter the compound, thinking they were thieves, he went to see who it was. The troops fired on him, wounding his right hand. Hamdullah then tried to make a telephone call to the people sleeping in the main compound located near the guesthouse. As he picked up his phone, American soldiers blew up the front gate of the house with explosives. Hamdullah and the other men in the guesthouse rushed toward the windows of the room. One of the men was Azime, a 32-year-old baker from Karachi who had come to Gaznai for medical help from Qarar’s brother, a well-known doctor in Gaznai. When Azime tried to leave the room, the American soldiers opened fire and killed him. Then, they entered the guesthouse and shot Hamdullah, killing him too. The three others who had been sleeping in the guesthouse, 15-year-old Sidiqullah Qarar, 9-year-old Fazal, and 8-year-old Rahmatullah, remained in the guesthouse. They screamed, cried, and tried to run towards the men who had been shot. Hamdullah was shaking and groveling on the ground, but the children were told not to move. They did as they were told and remained still, horrified and silenced. Then, the American soldiers and their dogs entered the main compound next to guesthouse. They began searching the rooms. In the process, they destroyed clothes, dishes, cupboards, and boxes. A military dog bit the hand of Qarar’s aunt. Finally, the American troops found 35-year-old Habib-ur-Rahman, a computer programmer and government employee who worked as software engineer in the Ministry of Communication. He had a master’s degree in IT, an MBA from Preston University, and he received his BBA in Egypt. The American soldiers said that Habib was an Al-Qaeda member. They handcuffed him and the 15-year-old Sidiqullah and marched them barefoot to a helicopter. It was a 1.5-kilometer distance in cold weather. This occurred at approximately 4 AM. Sidiqullah, an eleventh grade student, was held by American troops in Sharana for a day and a half before he was released. During this time, American troops showed him bloody pictures of the action and the men killed by American troops and asked: “Who are they to you?” During questioning, they played a recording of the sounds of breaking mirrors. When Sidiqullah saw the pictures, he was frightened and worried that the same thing might happen to rest of his family living in the main compound. Fazal-u-lrahman, who worked and studied at Qarar’s house, said, “They stole everything, including my mobile phone. I am sad because my brother had sent 250 credits for it. I was very happy about that because I would have used it over two months or more. But they took it from me.” Although 250 credits cost the equivalent of less than one dollar, Fazal-u-lrahman’s family is very poor. His family bought the mobile for him because his home is far from Qarar’s house. “They have destroyed my life, my children’s future, my shelter, left me a widow, orphaned my children,” Hamdullah’s wife said. “Everyone in our village knows that we are educated and work for the government. Which law in the world permits killing a person without knowing who he is? I don’t know what stupid law would allow this,” he added. Author’s note: I learned about this terrible incident at my office in Kabul. Members of my supervisor’s family were the victims of this particular raid. In follow-up, I investigated the story through interviews with my supervisor and his family. My job in writing this article is not to insert my opinion in any way. I try to adhere to the facts of what happened and distribute that information. When any human being witnesses such a tragedy, firsthand or even secondhand, it is impossible to not feel great sadness. This family has been devastated. This is not the first time that such an accident has occurred, and it is inevitable that these kinds of incidents dishearten the Afghan people. We have seen the American military apologizing on the television, but when a father or brother in the home who is responsible for supporting a family is lost, there is no one to support the family anymore. Often the consequence is that the children must beg on the street to feed themselves. 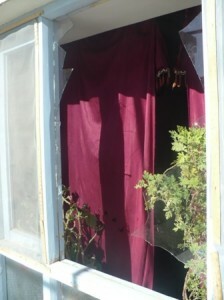 In the case of the Qarar family, the widows are still living in their home. Their relatives are helping them in keeping with the custom among the Pashtun tribe that when a woman loses her husband, her father-in-law, brother-in-law, and uncle-in-law should support her and her children. The Qarar family, however, remains afraid of the American troops. Regardless, this incident does not change my personal opinion about the presence of American troops. In my opinion, peace was nonexistent in Afghanistan before the American troops arrived. They should not leave not leave Afghanistan yet, because, with so many different tribes and the threat of the Taliban, we are not yet unified. In addition, neighboring countries such as Iran and Pakistan are interfering in our governmental affairs. Thank you for the courage to write such a shocking and heart-breaking story. My prayers and hopes for all concerned. Thank you for educating the world about what is happening here. It is horrifying though hey that even with all the atrocities going on, somebody like yourself still prefers the presence of the troops… I probably agree that they should not leave now but maybe they can change their focus and approach. What about the following piece, I wrote it last week and it is on my BLOG. In the North Western Frontier Border the Pashtuns, divided by the Durand line when Pakistan was created, have been deprived from all their basic needs. These people, as well as the more then 70% illiterate Afghans in Afghanistan are a vulnerable population. Half the population is jobless and 5.000.000 children do not attend school. Afghans have seen billions come into their country with all the promises being made and they are still unemployed and uneducated after 9 years. They get angry, they are disappointed and they have nothing to loose. This whole population is easy to recruit for the “wrong” purposes (i.e. fighting against an “enemy”). How many more people need to die and live in poverty while the money is there to fix it all. Now it is the mind set for peace… it is possible… very possible…. spread the message of peace, not the message of hate…. the message of hate only benefits a small group of people who have become very rich with the creation and perpetuation of war….. The war industry is like a dictator, as long as the people support the system (i.e. continue to believe there is an enemy and fight) the industry does very well and the suffering for most people continues. Thank you so much for this courageous, honest work. This should appear in every newspaper in the United States. We in this country need to see every day the consequences of our actions. I wish you peace with all my heart. How is it that when even one American is killed, everyone screams murder. You are over estimating American soldiers. They are ignorant just like many Americans. Imagine if this were to happen in America, the outrage of people. Thank you for sharing this horrific tragedy. Feel really sorry for the family, really a sad story. Very nicely reported. None wins in a war, one loses more than the other only. We to call it victory and defeat. Yet the human kind never stopped fighting.